Domaine du Clos des Rochers is, historically, the first in the history of the Caves Bernard-Massard: a field of about 10 hectares in the east of the country, between Grevenmacher and Wormeldange. This small vineyard belonged to Bernard Clasen, who inherited it from his ancestors. In the aftermath of the First World War, JeanBernard-Massard, a Luxembourg oenologist trained in the most prestigious champagne houses in Reims and Epernay, returned to his country. His ambition: to apply all his know-how to Luxembourg wines, by enhancing sparkling quality wines in accordance with the methods used to produce champagne. 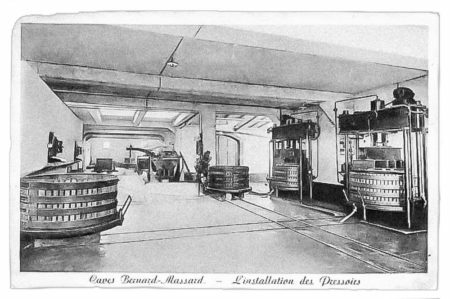 The meeting with Bernard Clasen led to the creation of the company Caves Bernard-Massard in July 1921. Among the founding partners, on top of Mr. Jean Bernard-Massard and Mr Bernard Clasen, one of the great figures of the Luxembourg financial centre, Max Lambert, one of the co-founders, the following year of the insurance group Foyer. Jean Bernard-Massard did not really have time to witness the development of his company: he disappeared prematurely in 1923, leaving the opportunity for the Clasen family to become fully involved in the management of a company that, in 1931, joined the prestigious circle of suppliers to the Grand Ducal Court. The years following the economic crisis of 1929 were difficult, with the superior production remaining a luxury product and therefore quite expensive. The idea of ​​producing traditional grape juice in 1933 enabled Bernard-Massard to find a safety net under the leadership of Joseph Clasen, Bernard’s brother, who succeeded him as president of the board of directors on his death in 1934. In the late 1930s, the company employed about 45 people, most of them labourers, and produced 150,000 bottles of sparkling wine per year. The Second World War deeply impacted the country and the facilities of Bernard-Massard did not escape the devastation. It had to restart practically from scratch. In December 1945, Joseph Clasen died, leaving the reconstruction site to his sons André, who was not yet 30 years old, and Carlo, just 22 years old. Times remained hard until the end of the 50s, with extremely unfavourable weather conditions and hard blows that ensued, as in 1957 with the deaths, within a few months, of Max Lambert and André Clasen. It was therefore up to 33-year-old Carlo Clasen to work to recreate the Bernard-Massard brand and redevelop sales in its two main markets (Belgium and Luxembourg) while modernising the facilities. The company was recovering well, but encountered anotherblow with the onset of the steel crisis of the middle of the 70s. Hubert Clasen, the son of Carlo, finished his studies in economic science and management, and finally joined the family company in 1979. He introduced the repositioning of Bernard-Massard wines, no longer as a luxury product for special occasions, but also as an aperitif drink. “Then you had to make sure people always had a bottle of sparkling wine in their fridge. This is exactly what happened. We have benefited from a global change in consumer habits, in which we have actively participated in our markets through our marketing which, gradually, made people understand that our product was accessible every day, for all occasionsin life,” Hubert Clasen explains. 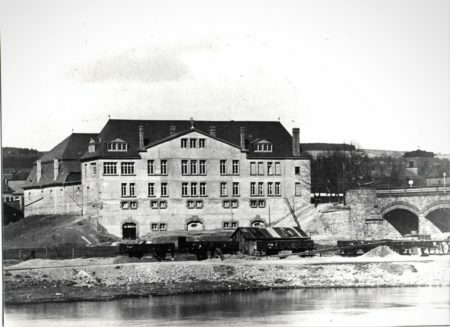 In 1984, a chlorine contamination due to the use of this product in the treatment of wooden elements of the company building forced Bernard-Massard to demolish and rebuild almost all its facilities and completely redefine the way it worked. A colossal job and two years of turnover invested for a result that allowed the company to be carried by a new impetus. 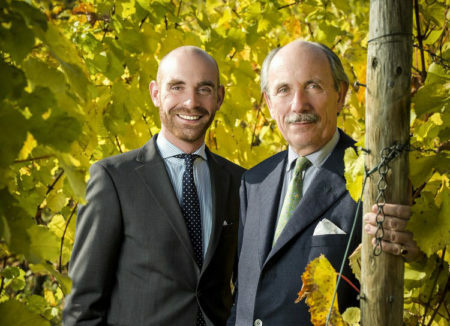 Now headed by Antoine Clasen, son of Hubert, and representative of the 5th generation, the Caves Bernard-Massard extend over the grounds of Clos des Rochers (20 ha of vineyards spread over the towns of Grevenmacher, Ahn and Wormeldange) and the Château de Schengen (12.5 hectares). 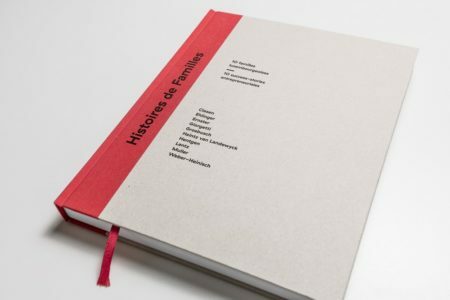 Find more details and anecdotes on the history of Caves Bernard-Massard in the book “Histoires de familles” published by Maison Moderne in collaboration with Banque de Luxembourg: a book that tells the saga of 10 families of entrepreneurs and, through it, paintsan original portrait of Luxembourg.